Liz from A Belle, a Bean and a Chicago Dog, reminded me about the joys of letting our kids explore. We have a camera for the kids to use, one of our old ones, but it has been up on a high shelf for quite sometime. Kids love documenting events with photos and I love how Liz created a scrapbook with her daughter. I should do this with my kiddos, just as soon as I can find the cable to remove the pictures their camera has been collecting. Till then, feel free to browse the Quirky Kiddos Flickr photo album. All photos in this album were taken by my then 2 and 3 year olds (they are turning 3 & 4 this next month – whoohoo). Thanks Liz for a great guest post! For my daughter’s 4th birthday, we got her a kid’s digital camera. She loved it from the second we opened the package, and started taking pictures of anything and everything she saw. Holidays, a trip to the zoo, playdates with her friends… you name it, she photographed it! When she reached the limit of her camera’s internal memory, I hooked it up to my laptop to easily delete the files. While 99% of the photos she took were headed for the recycle bin, I was kind of surprised by the remaining 1%! She actually got some really neat, sweet and memorable shots! That’s when I decided to make her a photo album to store the good pictures she had captured with her camera. I came across a 3 ring binder that had a window on the cover for you to slide in a photo. I figured I would put a picture of her there to personalize it a little. Next, I printed out her pictures on regular printer paper, using our color printer. Then I grabbed a pair of our kiddie zigzag scissors, a few magazines and catalogs I had lying around, and some glue. I thought the zigzag scissors cuts would add an element of fun to the pictures while also helping to disguise the less-than-perfect cuts she’d make. We flipped through the magazines and catalogs together, finding words and pictures she wanted to use. 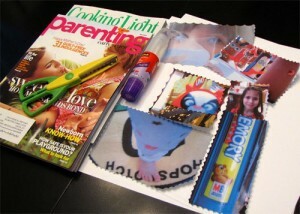 Then we got out the glue and some cardstock, and made collage-type pages using her photos and magazine finds. As time goes by and more special trips, holidays and vacations are had, we can add to her album and watch her photography skills grow. You can even let them play with photo editing software (Gimp is a free one and we, QM, have also used Tux Paint). Thanks again Liz for guest posting. I love following her life and kiddos… her before and after remodelings have inspired us and some of our upcoming house projects. 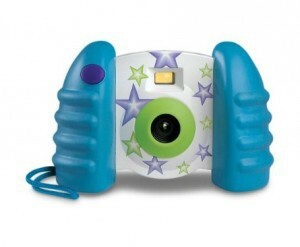 I have been thinking about getting my girl a camera that is kid friendly. She loves to use mine but I chase after her all nervouse she will break it! She takes some fairly good pictures occasionally too (she is almost 3). Your newest follower from Mom Loop! .-= Carrie´s last blog ..Toddler Tunes =-. I’ve been wanting to add more kids’ crafts and learning activities on my blog as I am also homeschooling my 3-year-old with a preschool curriculum. Would you be interested in having this (because I have a scrapbooking blog;) be featured as a guest post on my blog? I’d also love to work with you further once I start blogging on a regular basis about my homeschooling endeavors:) Thanks so much! 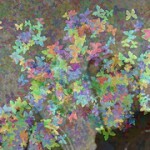 .-= Christine:)´s last blog ..Digital scrapbooking tutorials =-.